Published: January 30th, 2019 by Simon. Filed in Tiles and tagged Grey Bathrooms, Grey Kitchens, Grey Tiles. Have you recently bought a home design magazine or watched one of the many home renovation television shows and noticed that grey is used almost everywhere? This is because grey has been the biggest colour trend of the last couple of years, and is set to continue in 2019 as well. Whether you’re building a new home or renovating your kitchen or bathroom, grey is one colour not to overlook. And one of the best ways to incorporate grey into your design is by choosing grey tiles. Grey will point you in the right direction for creating a space that wows visitors and fills you with style pride. Today, we’ll take a look at some of the hottest grey tiles in Perth, which are, of course, you will find right here at Ross’s Discount Home Centre. To give your kitchen splashback a contemporary look, you’ll find nothing better than Brickbold Gris feature tile. This popular splashback tile features a selection of random patterns set in various shades of grey and will perfectly complement modern interiors. Its soft colours also pair well with stainless steel and white appliances. The Brickbold Gris feature tile is just $5 per piece. For a versatile grey floor tile, Design Evo is a grey-t choice. 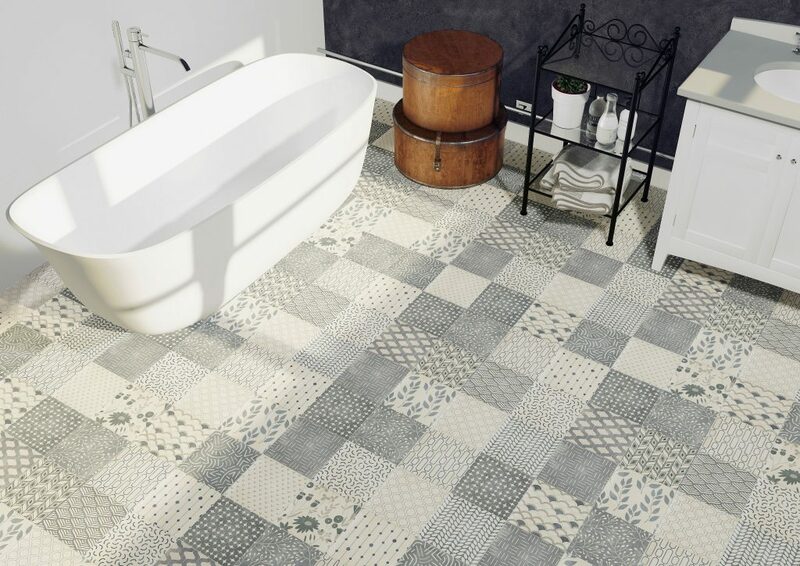 Sporting a selection of patterns in soft grey shades, this tile will allow you to create a feature floor in your space. Additionally, its soft colour scheme will also do very well when paired with most colour schemes. It is perfect for creating a refined, contemporary space. The Design Evo tile is a great choice for bathroom and kitchen floors. You can purchase this feature floor tile from us for only $10 per piece! 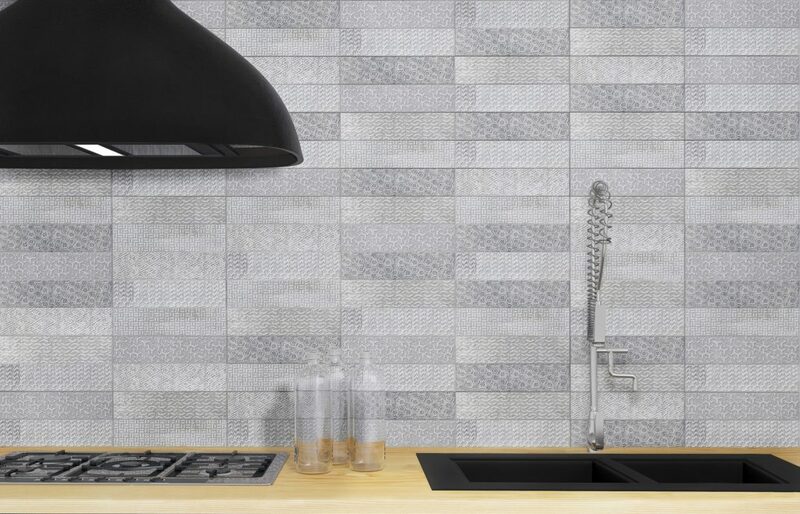 Lisbon Mosaic is another grey wall tile that is perfect for kitchen splashbacks. 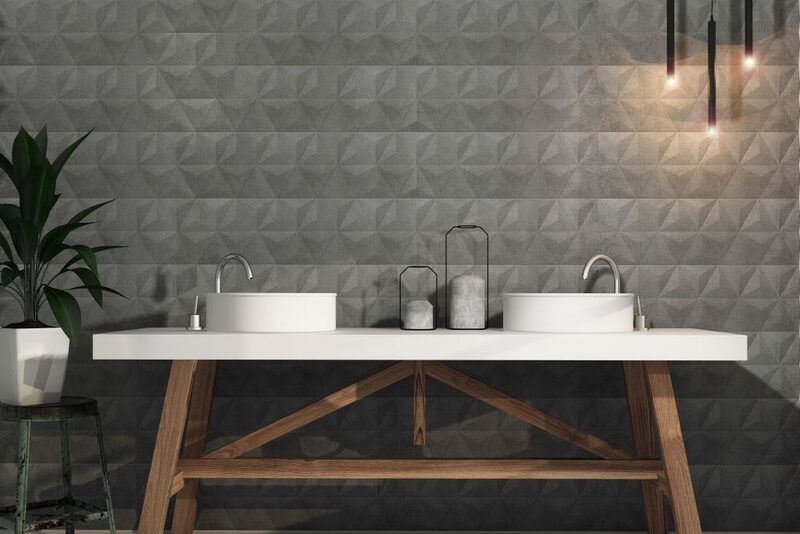 Comprising thin blocks in different shades of grey, this feature tile is both contemporary and trendy in its design. Its fresh looks will do well to catch anybody’s attention. Buy the Lisbon Mosaic feature tile from us for just $40 per piece! Give your bathroom walls a stylish and sophisticated look with the Mirror Graphite feature tile. With its gorgeous looks and elegant styling, this feature wall tile will add a fresh touch to any space. Its textured finish with sleek patterns will also do well to add a touch of depth to your bathroom walls or kitchen splashback. Purchase the Mirror Graphite feature tile for $40 per piece. The Matang Zinc ceramic tile is an excellent choice to add a seamless and modern look to your home. Use this versatile matt and gloss ceramic tile on both your floors and walls to create a plush and lavish look. Its natural grey colour will also complement stainless steel and chrome bathroom fittings as well as white toilet suites perfectly. Buy the Matang Zinc ceramic tile from us for just $30 per square metre! Lastly, for a floor tile that you can use in any area of your home, including the kitchen and bathroom, choose the Celina Grey ceramic tile. It features an elegant grey design with subtle wavy patterns and mimics the look and feel of natural stone. This floor tile will add an extra touch of elegance in any space it is used. Purchase the Celina Grey ceramic tile for $20 per square metre from our online store. Grey has been one of the hottest colour trends in the recent past, and it will continue to do so in 2019. If you’re renovating or building a new home, you should consider using grey tiles. For stylish and trendy grey tiles in Perth, consider our collection here at Ross’s Discount Home Centre. 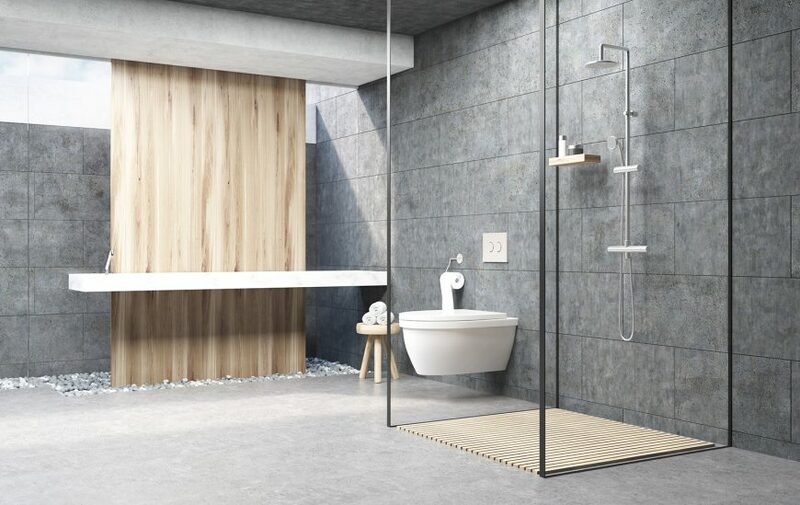 Our Brickbold Gris, Design Evo, Lisbon Mosaic, and Mirror Graphite feature tiles and our Matang Zing and Celina Grey ceramic tiles are some of our bestselling grey tiles. Choose any of these grey tiles to give your home a trendy and updated makeover. Shop from us online or visit our store to purchase our tiles in Perth today!